Saidel's Artisan Baking Institute specializes in teaching people how to bake bread and not just any bread! We focus specifically on Jewish breads, old and new and since we are artisan organic bakers, the breads have artistry and .... they must be HEALTHY! Located in the holy land of Israel, we are dedicated to reconnecting the Jewish People to their bread roots, physically! We conduct hands-on workshops teaching techniques and explaining the history and the symbolism behind the breads so you can make them yourselves ...... at home! 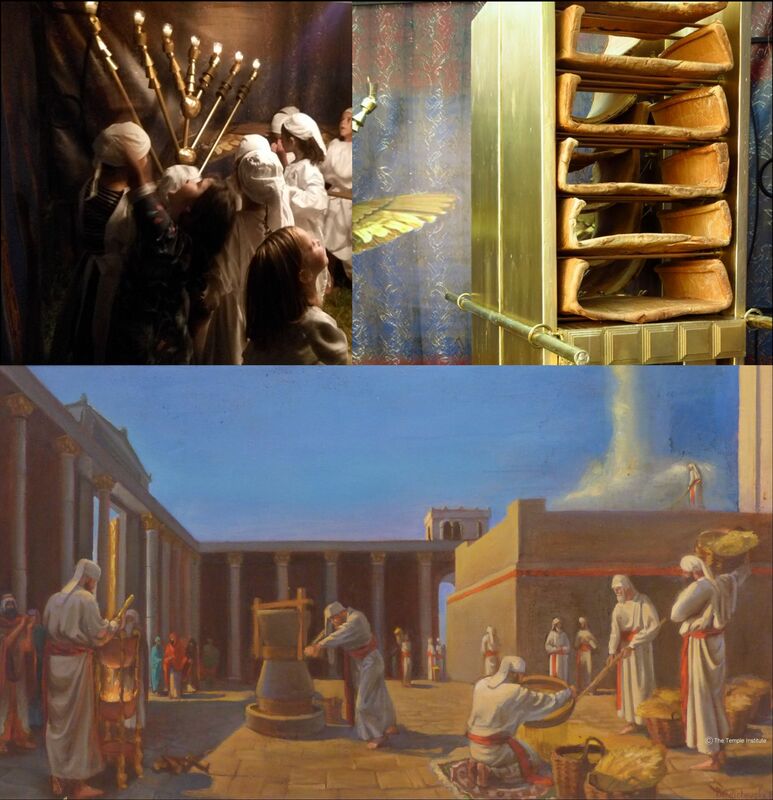 It is one thing to read about the Breads of the Bet Hamikdash (Temple) in the Chumash (Bible), to study more about them in the Talmud and commentaries, but it is another thing altogether to actually see them with your own eyes .... touch them .... smell them .... taste them and ... bake them yourselves! Legendary breads, like the Korban Toda (Thanksgiving) Offering, the Shtei Halechem (Two Loaves) offering brought on the festival of Shavuot and of course, the most famous of all, the Lechem Hapanim (Showbread) that was gloriously displayed on the golden Shulchan (table) in the Heichal (inner sanctum). We start with a virtual tour of the Beit Hamikdash (Temple), followed by an in-depth explanation of the special ingredients and methods used in baking these unique breads and then we get hands-on actually mixing the dough, shaping the special breads and baking them using the same ancient techniques used almost two thousand years ago.